Bardsey Island is a National Nature Reserve and a Site of Special Scientific Research. Bardsey Island Trust works to protect the wildlife and delicate ecosystem of the island, we undertake scientific study and educational programmes, we protect and maintain the buildings and archaeological sites, promote the artistic and cultural life of the island, engage in farming to benefit the island's diverse habitats and encourage people to visit the island as a place of natural beauty and pilgrimage. By working to protect the wildlife, Grade II listed buildings and the archaeological sites of the island we allow visitors a unique opportunity to visit and enjoy a working Welsh island. With only one full time member of staff and one part time we have a community of volunteers whose hard work make our work possible on the island. Every year up to 2,000 people visit the island and enjoy the rich and diverse wildlife which call Bardsey home, from the 20,000 Manx Shearwaters to the Grey Seal colony of over 100. 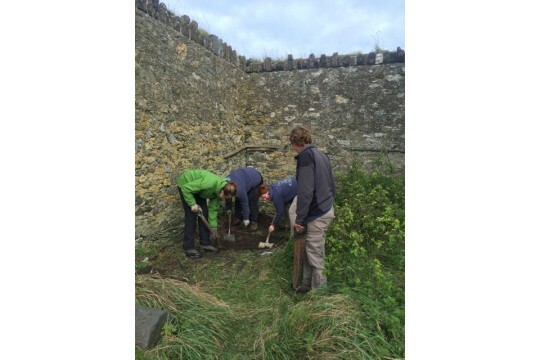 We work with volunteers each year who help us with maintenance, gardening, survey work and decorating tasks.